In my previous post i talked about minimalistic design. there’s one part of graphic design however that is completely based on minimalism. pictogram design is an art, it’s the art of conveying a message (sometimes a really important one) to the viewer in a split second and with a very simple, usually extremelly schematic depiction of the action. it has to be clear in it’s message and robust. this means that your pictogram should be understandable from far away, when it’s dirty, badly printed etc. etc. i collected some examples (some of them are classic and seen around the world) that i found to be particulary good working. The Escalator one is mostly briliant because the simpleness of it. there’s a man and a shape that resembles an escalator. same goes up for the litter box, very simple but it says enough. 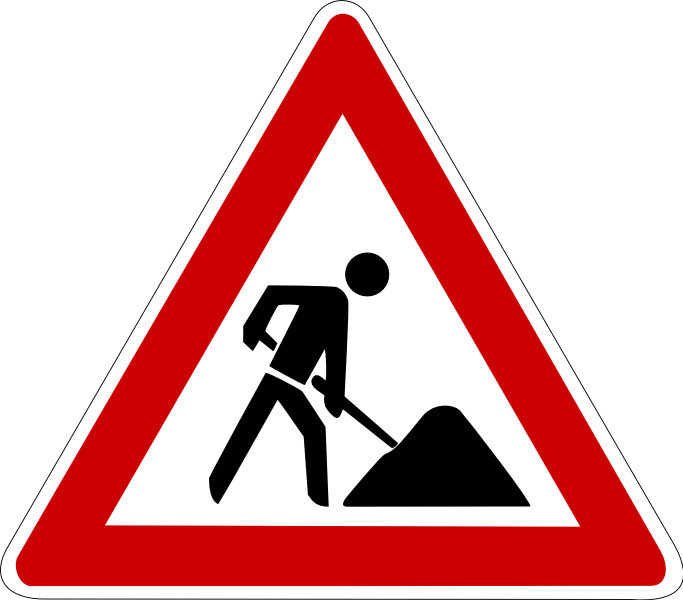 the roadworks sign is an internationally known sign and i just like the picture very much. 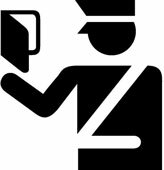 the passport control icon i think is brilliant because it shows two white lines and immediatly he becomes an officer. Although i have seen it before, intresting barcode design, i have never seen it in the quantity that this company offers. in the link you can find a gallery with a lot of different ideas (Licensed and priced:) the thing is that a barcode is always the same, and what these guys do with it i think is really intresting. the good thing is that they still work as being barcodes. so even though they are sometimes completely scrambled the scanner will still take them, i think personally that if you’re selling sport shoes the running man (as depicted below) really adds to your packaging and could make it stand out just that little bit more. Searching on the web i found some really intresting packaging design by Naoto Fukasawa; he made a lot more interesting designs but i think this stands out. 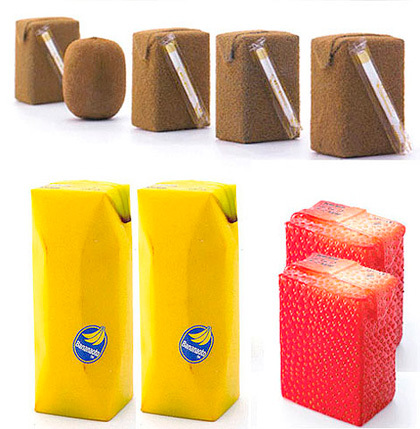 it consist of packagings for fruit juice but with the texture of the fruit inside. 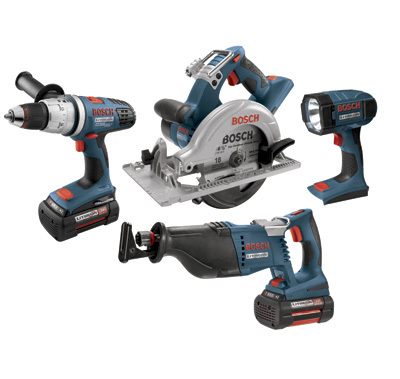 this eliminates the necessity for any further explaining graphics on the design. i personally really like it because of the unique idea. I wanted to show you guys the site of this design duo, draw me a sheep. they designed furniture that looks like a square tree trunk. this is to make people think about the difference between what nature gives us and what nature would give if man could influence it to their wishes. 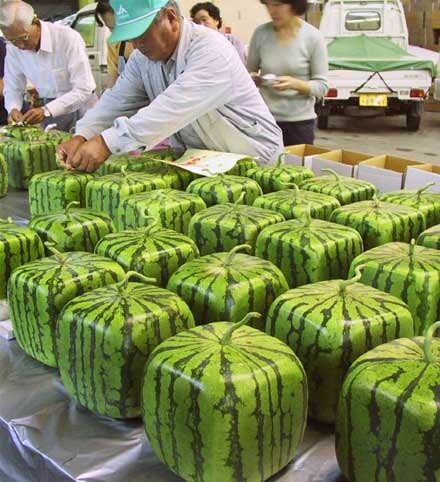 i think it’s an intresting concept that shows how industrialized society thinks about nature, a good example of this happened a few years ago when square mellons hit the market. although this wasn’t much of a succes because of the high price it was still a really intresting thought. To start with you can see that most of the logo’s use a really square, bold type. This is I think appropriate because you want a supermarket to be recognized as a settled entity, especially with a name like her sey, you also want to give the impression that everything would fit in there. The first logo I searched for something to create more connection between the letter. 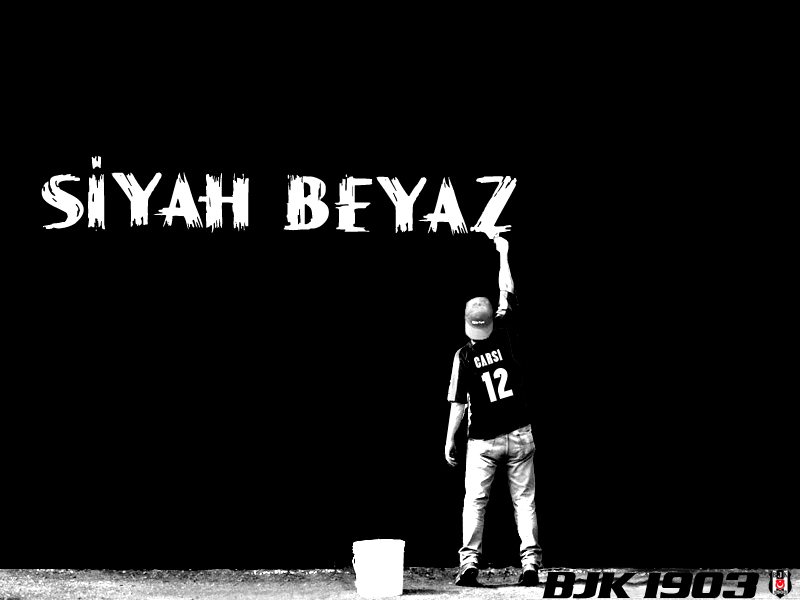 I think connecting the E’s gives a nice solidity to the words, and helpd connecting her to sey. the idea was to create a kind of bucket for the other letters, expressing the idea of a market that contains everything. The second one I really wanted to go for an overdone American style logo. Something flashy. I think it works pretty well, also for a supermarket. The black and white doesn’t completely work though. I think the logo really comes to life with colors. I added a concept of that below. The Third logo is handwritten and the only one not being bold and square. I’m not completely convinced of it, but it might be nice with some tweaks. 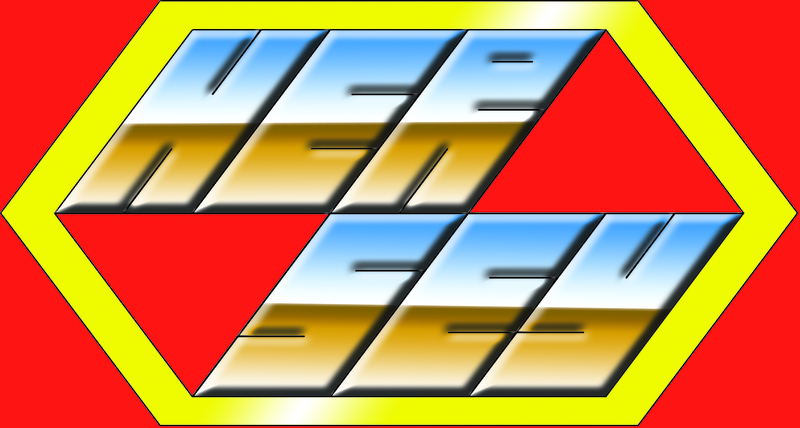 The fourth logo is a merge of the two words. I think it is readable and speaks supermarket. What I like is that with this logo it would be possible to turn the HS into a detachable symbol to use on other items. The firth logo is a cross of the two words, like in the first one an attempt to merge the two words into one entity. All of these are working together to present the identity of the entity. –the logo is often put on signs, business cards, product packaging, stationary etc. 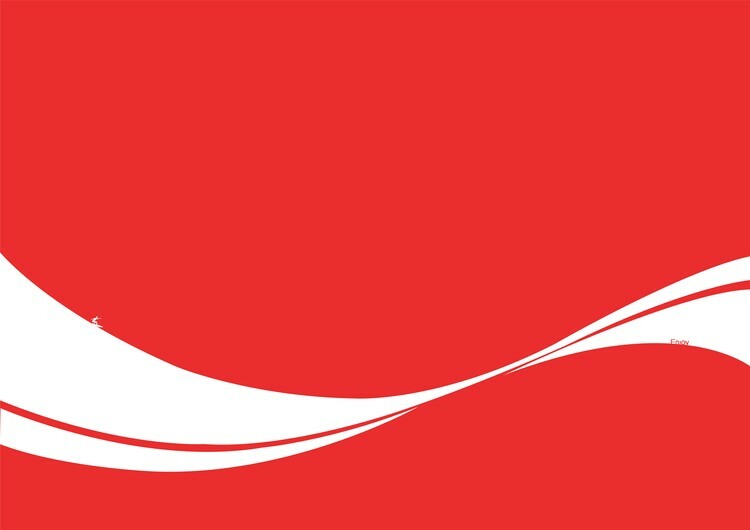 The logo is bold, big and red. It represents sturdiness and durability. The added image is given a nice shine and gives it a feeling of modernity and high-tech. these are probably values that this company wants to be associated with. This picture shows how a logo can change throughout the years, but stays recognizable as presenting that entity. Especially since it’s a gradual change people will always identify this with ford.